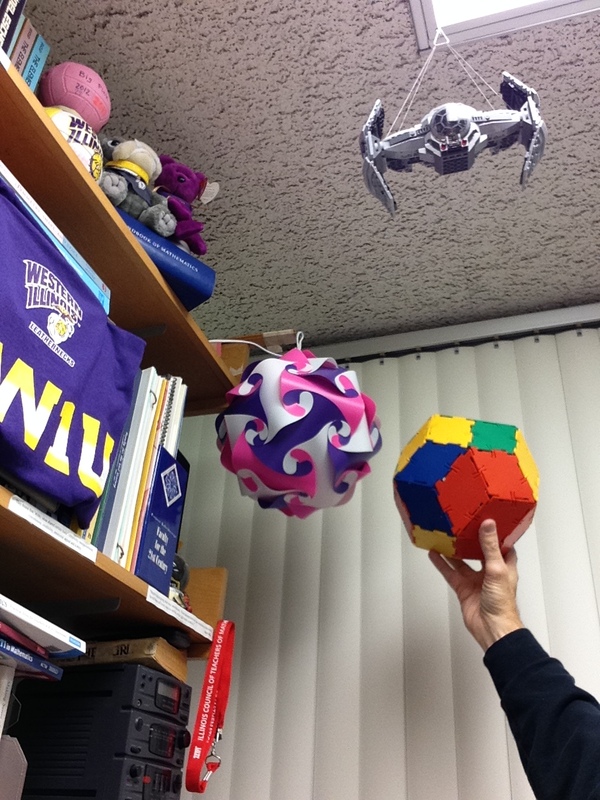 My Rhombic Triacontahedron light and one made of Polydrons® in my office. The Rhombic Triacontahedron is made up of 30 rhombi (rhombuses). Every face is congruent. The Rhombic Triacontahedron is not Platonic (that’s obvious, there are only 5 Platonic solids), not Archimedean, and not even a Johnson solid, because the faces are not regular polygons. 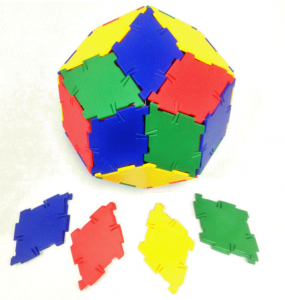 The shape is so interesting that it is sold as a geometry toy. 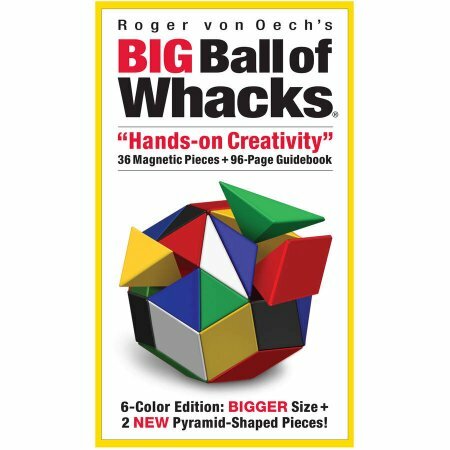 The toy is called the Ball of Whacks. 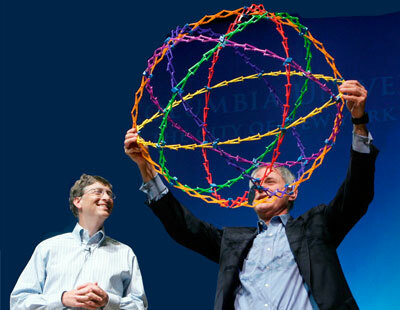 This toy (pictured) is available online and in in toy stores (that sell cool stuff). The ratio of the diagonals of each face (which are rhombi) is the Golden Ratio. #wow! The Rhombic Triacontahedron is one of only nine edge-transitive convex polyhedra. That is, every edge is the same (on both sides of the edge). The others being the five Platonic solids (that was easy), it’s dual, the Icosidodecahedron, and the cuboctahedron and the rhombic dodecahedron (which are duals, as you might expect). At some of the vertices 3 rhombi meet (the obtuse angle of the rhombus). At some of the vertices 5 rhombi meet (the acute angle of the rhombus).